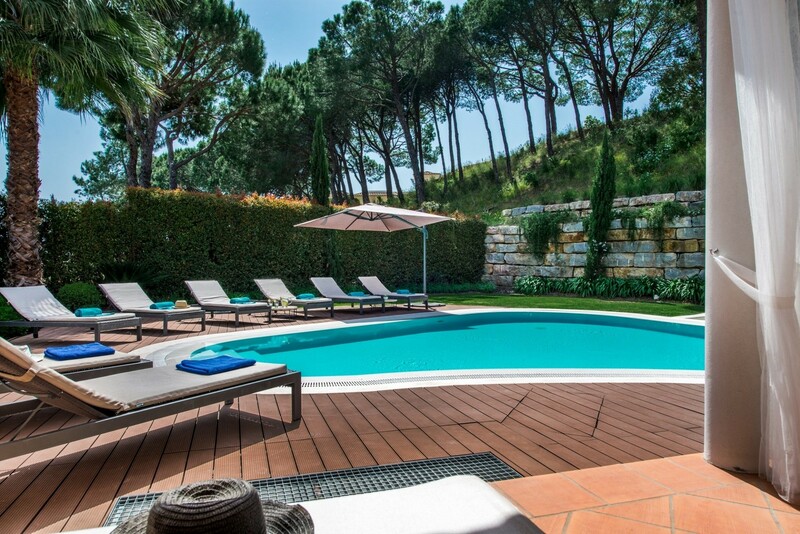 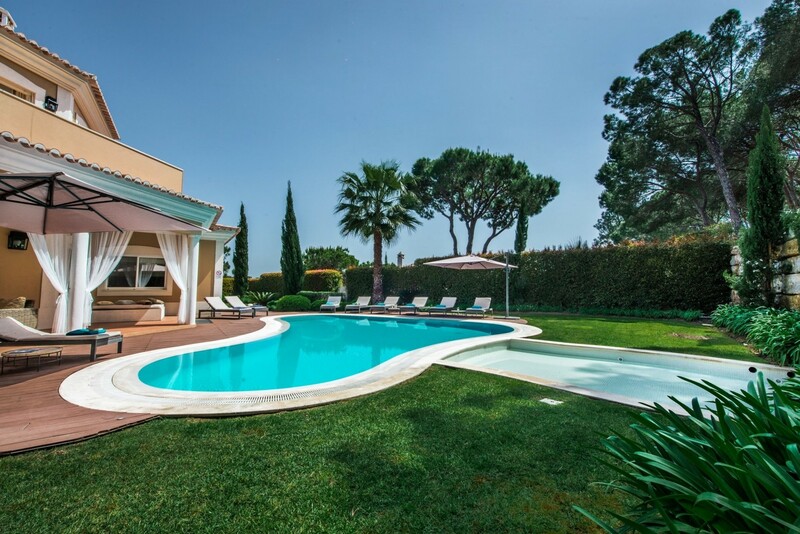 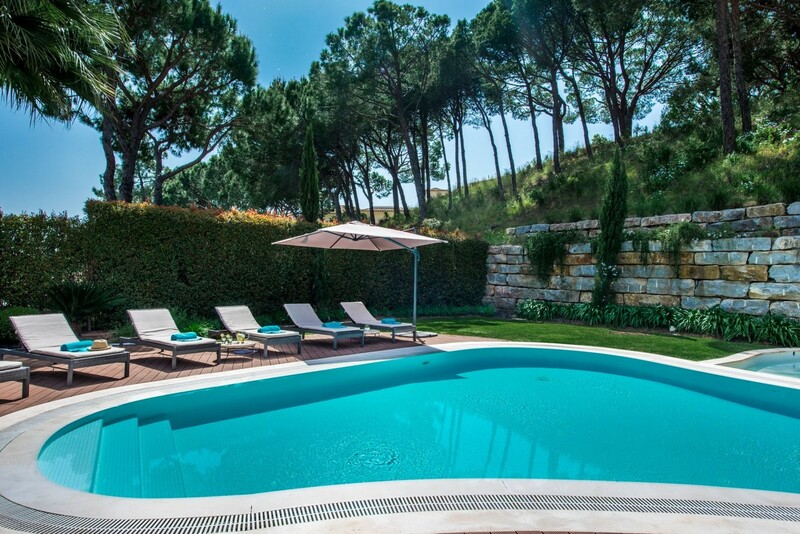 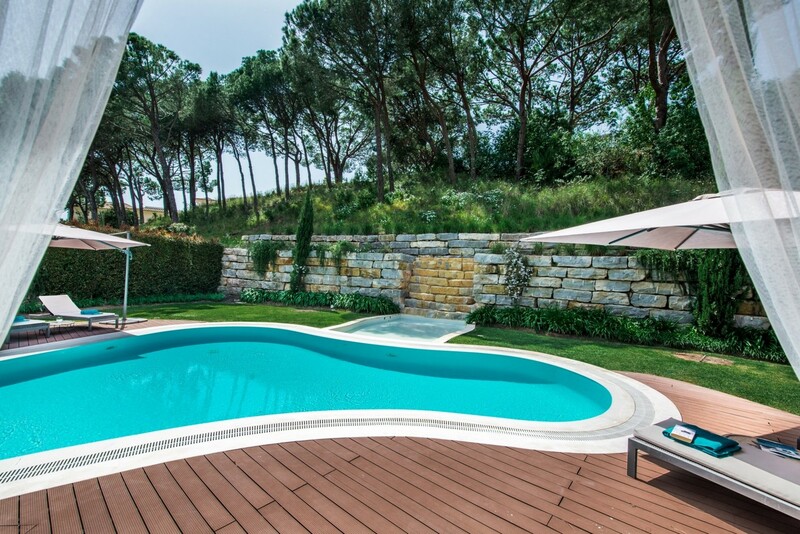 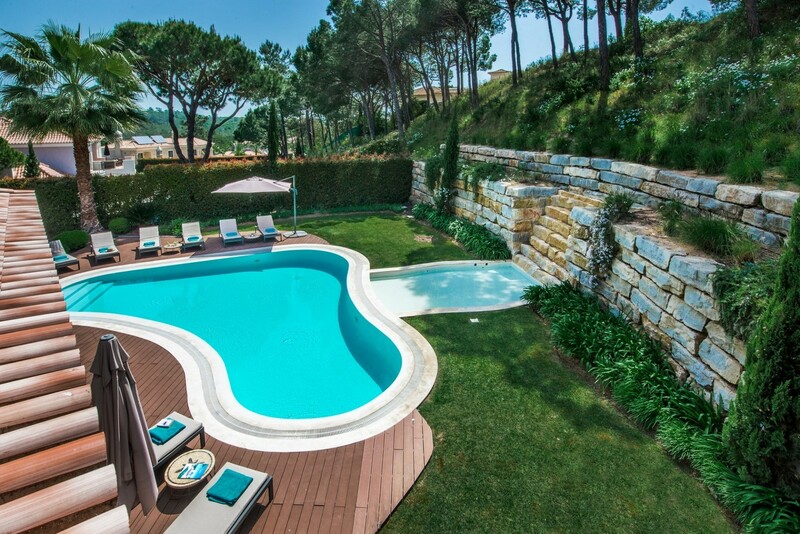 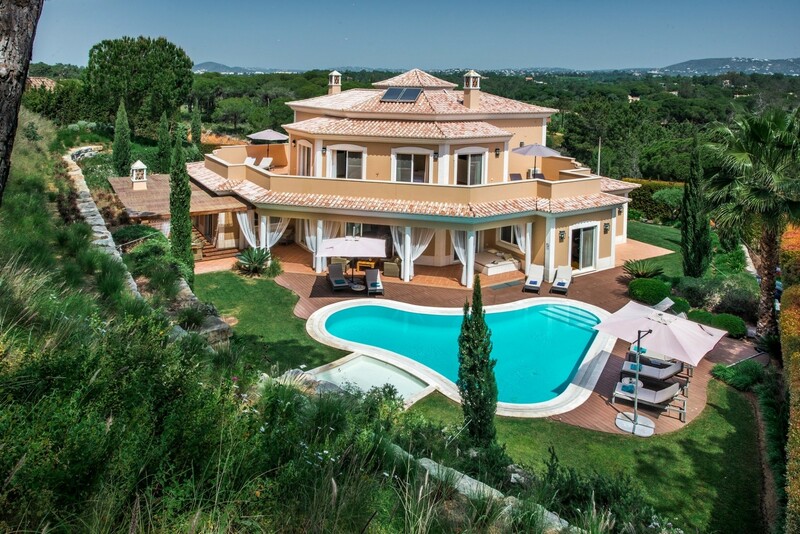 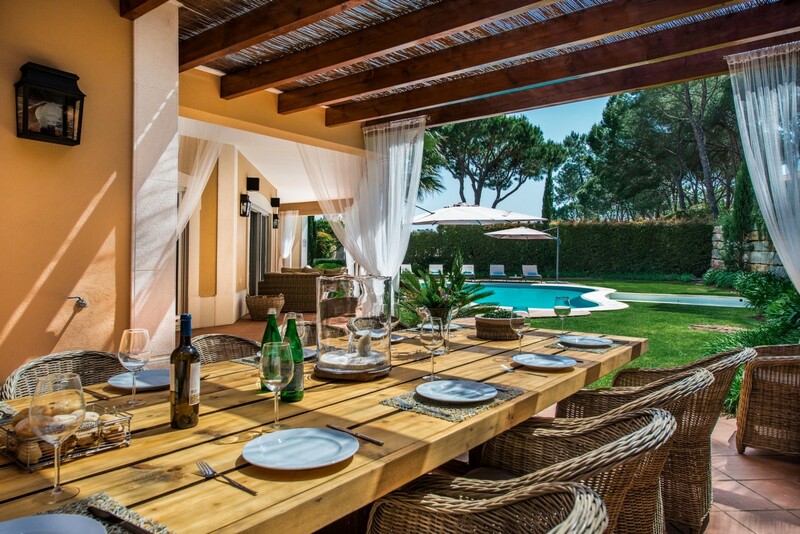 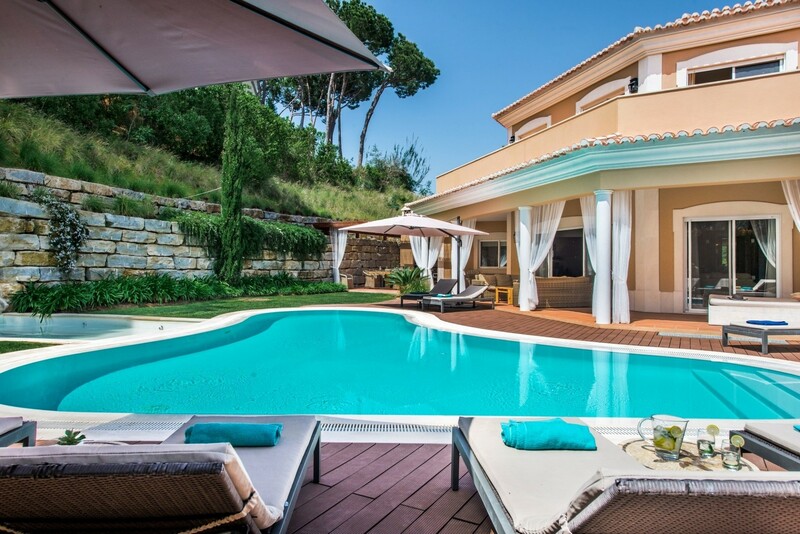 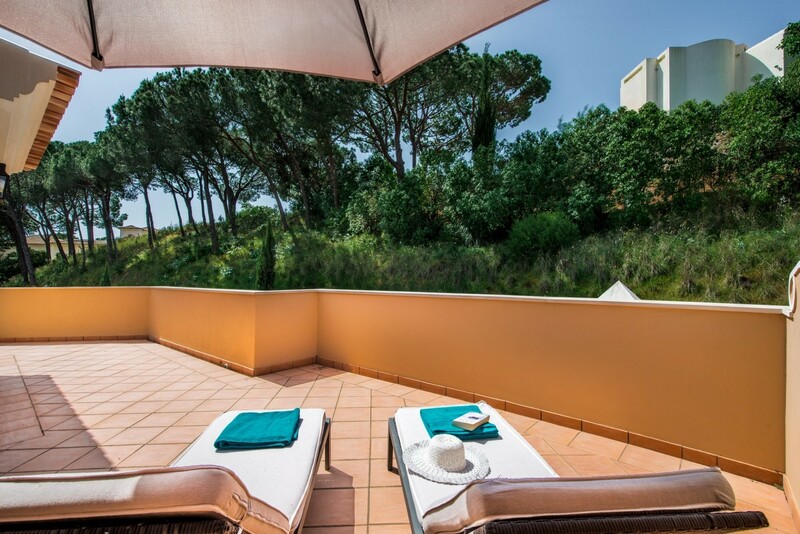 Azure Holidays present this beautiful 6-bedroom luxury villa in the popular Quinta do Lago area. 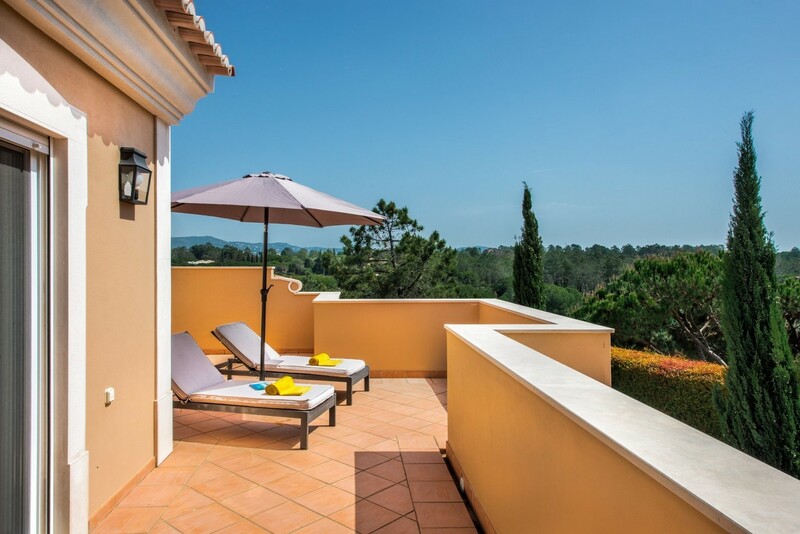 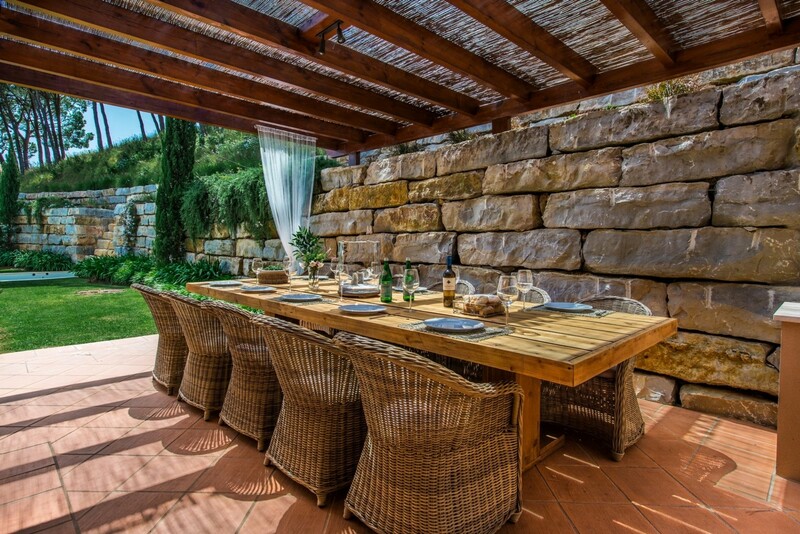 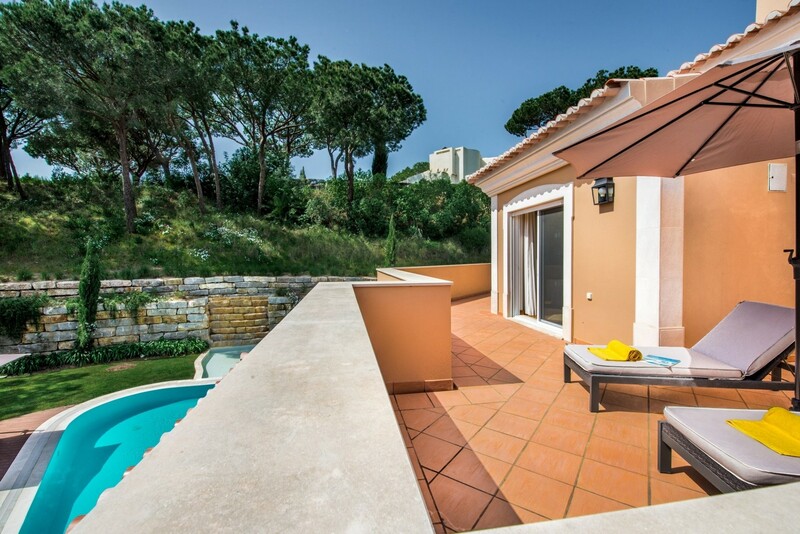 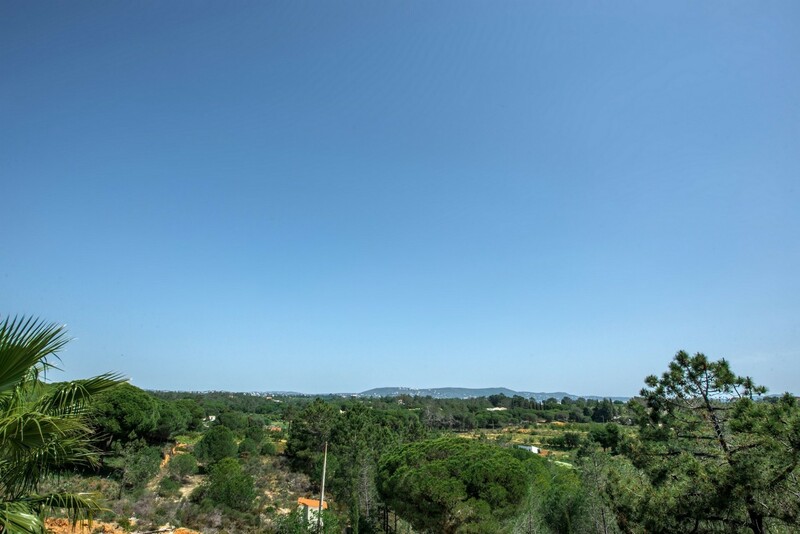 Secluded and peaceful in it’s stunning private grounds, the buzz of the resort, including the Watersports Lake, golf courses, sandy beaches and Quinta Shopping, is merely moments away. 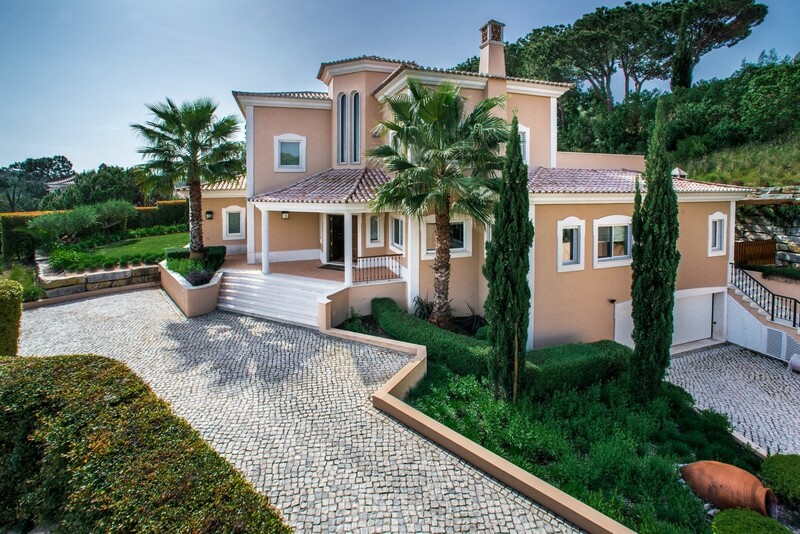 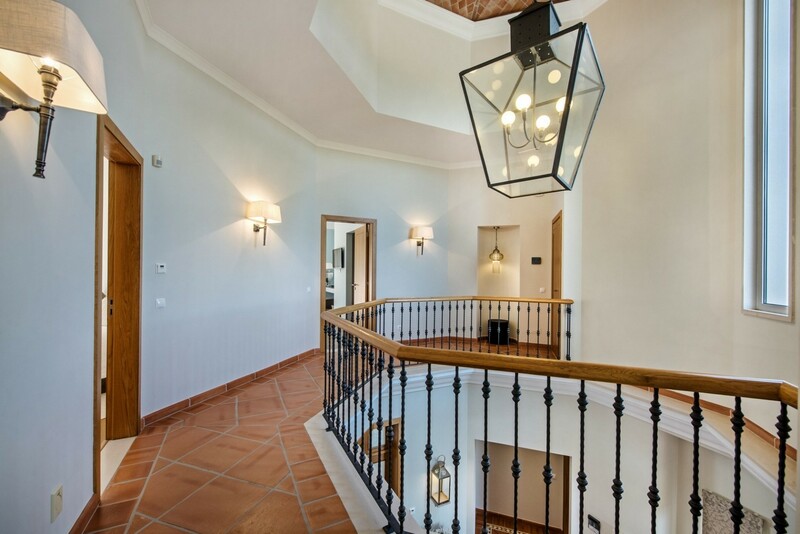 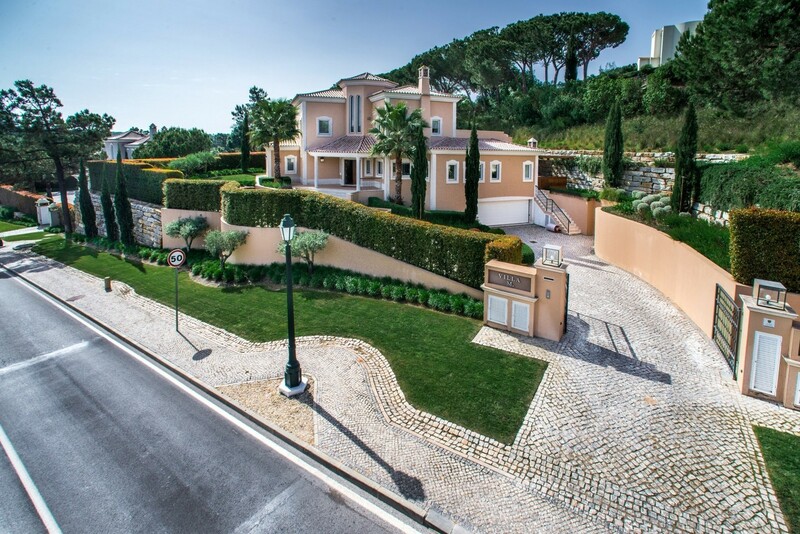 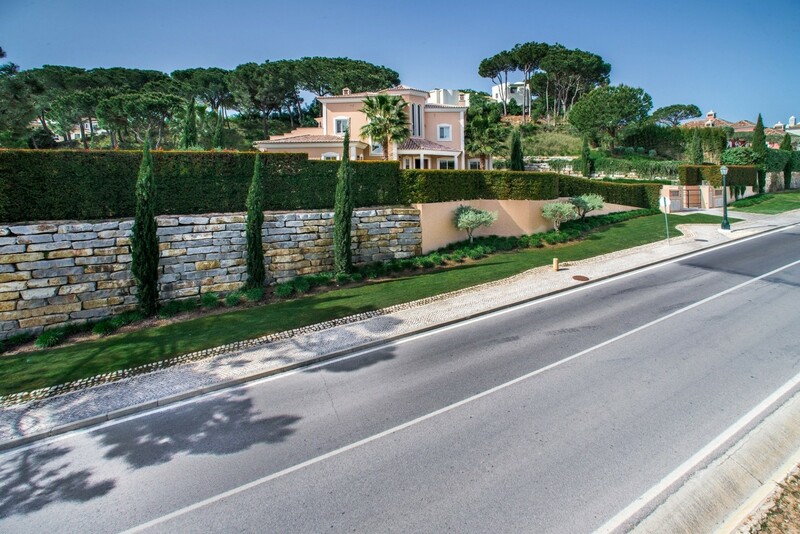 This lovely, recently built 6 bedroom villa located in Quinta do Lago, and is decorated to a very high standard. 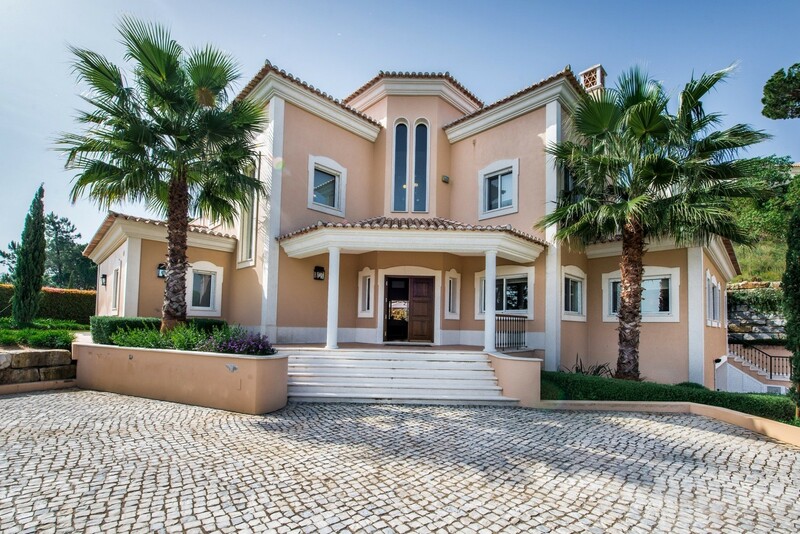 There are 5 en suite bedrooms situated on the ground and first floors, plus a multi-use bedroom. 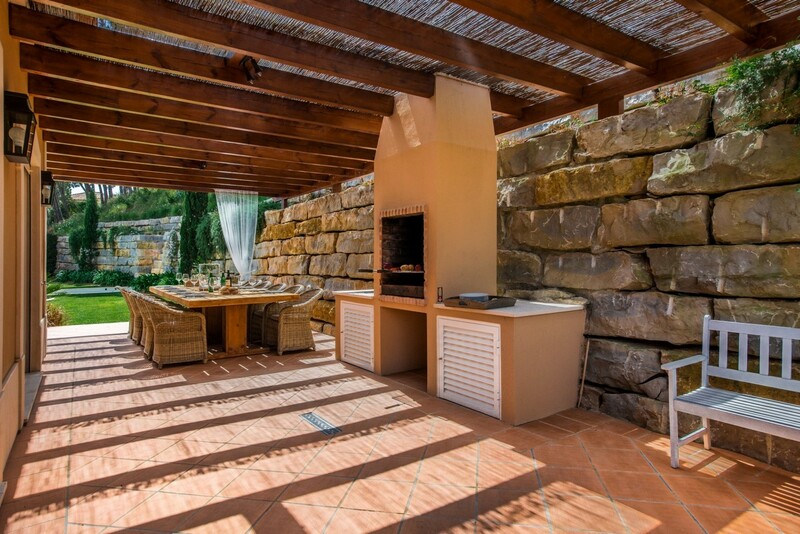 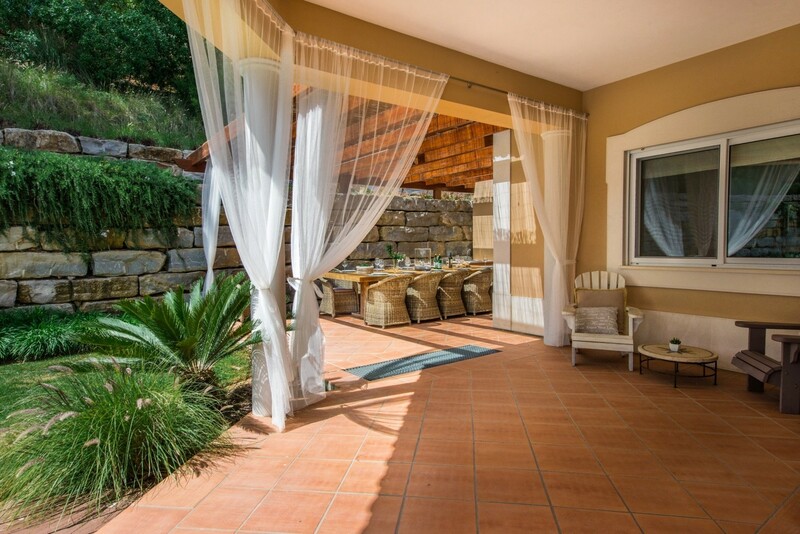 There is a shower room next to the gas barbecue area, a music system with two speakers, a covered terrace and two outdoor sofas in the lounge area. 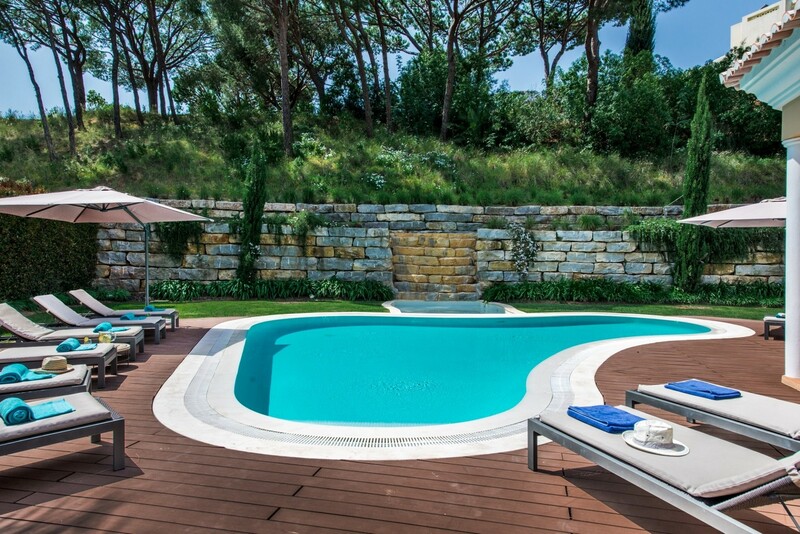 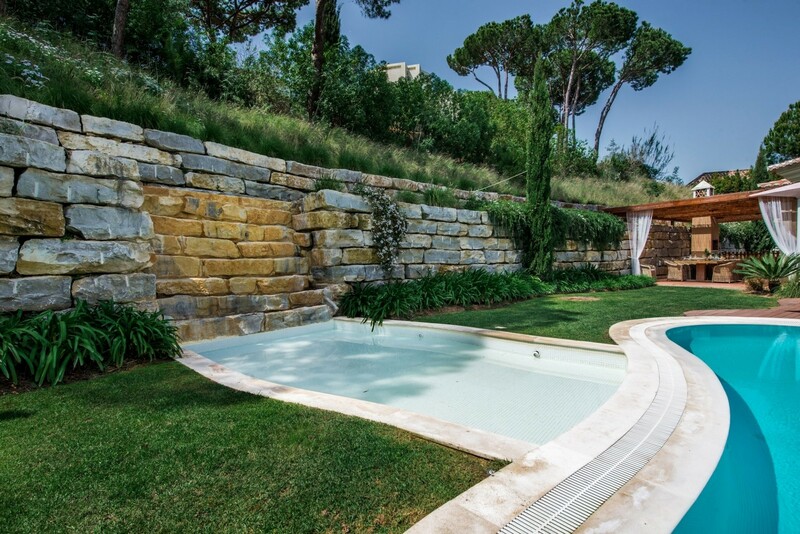 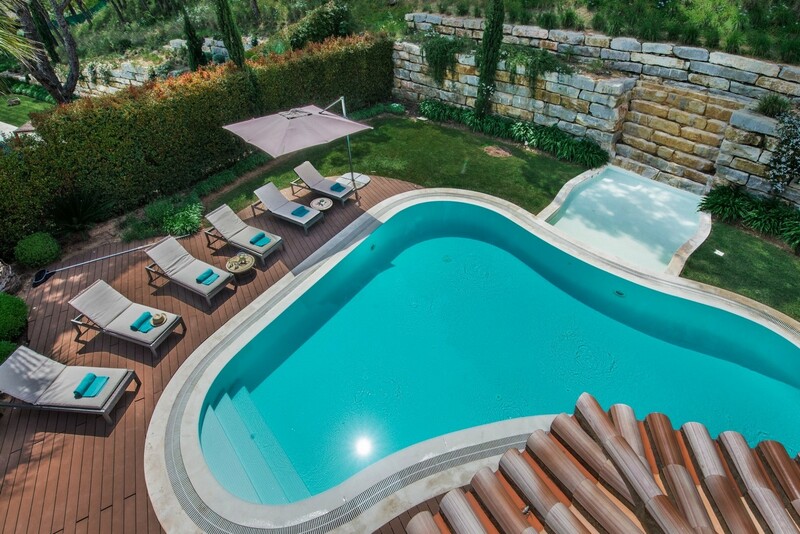 The swimming pool 10 x 9 metre can be heated upon request. 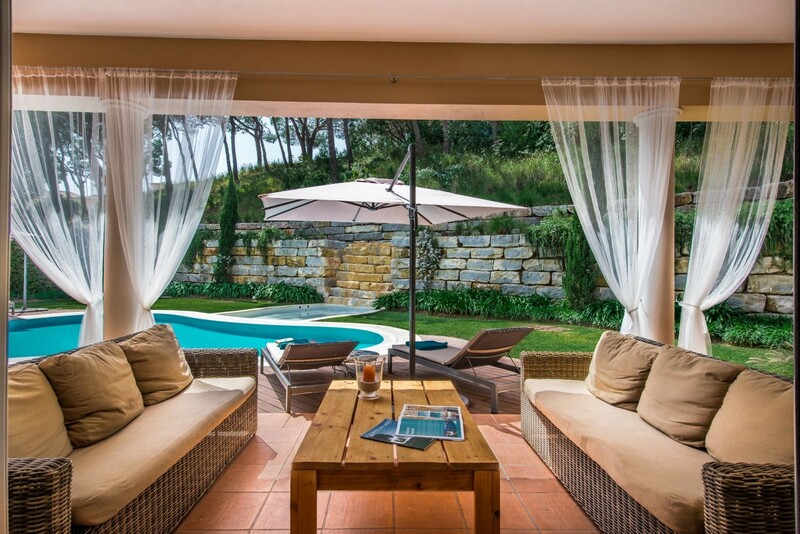 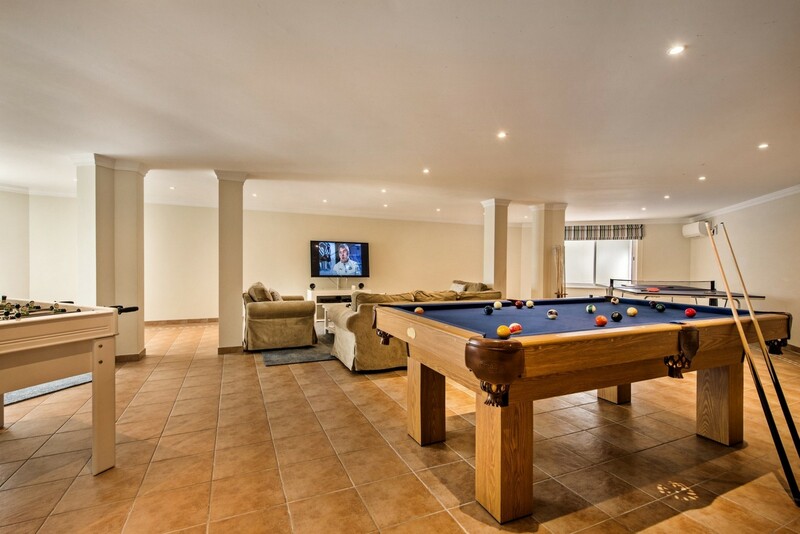 The living area has two large sofas and Moroccan puff chairs overlooking the pool/garden and lounge terrace area, a TV, DVD player and music system. 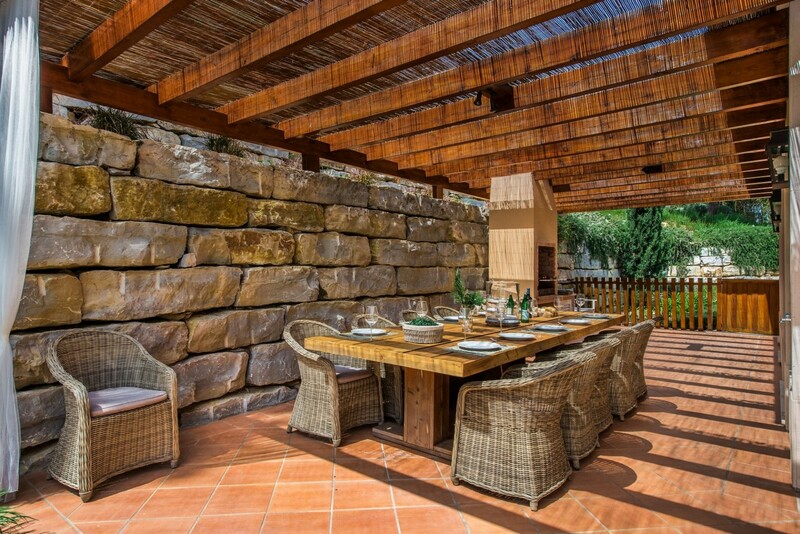 The dining area has a large wooden table which seats maximum fourteen people, with a Moroccan mirror on the wall and a lit cabinet. 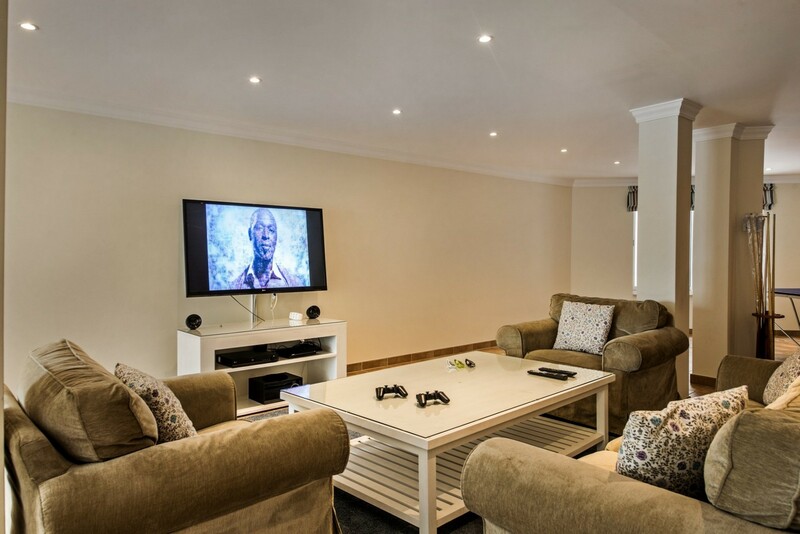 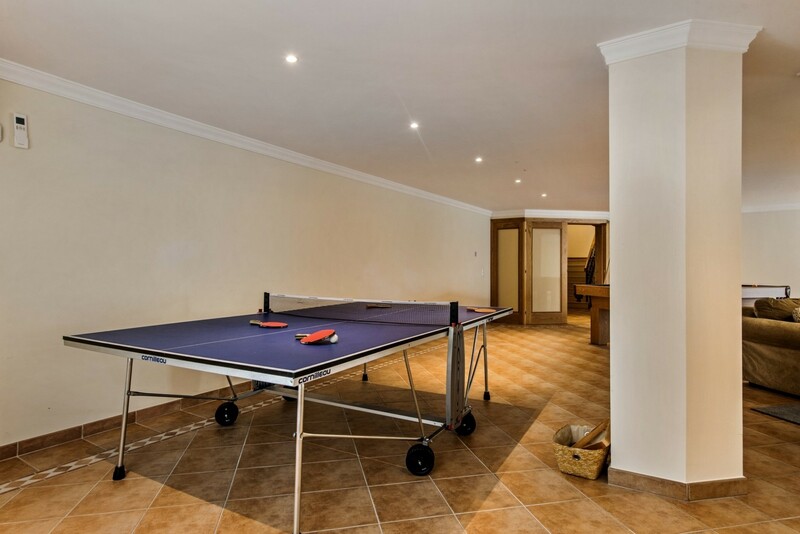 There is a games room with a snooker table, table tennis, flat screen TV, PlayStation 3, baby area (complete with a carpet with a small table and chairs, and with some children's games), surround sound music system and DVD player. 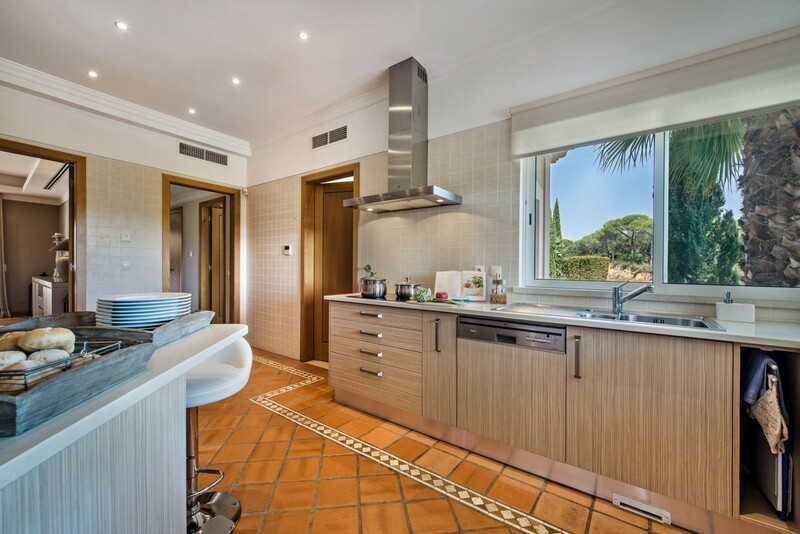 The kitchen is fully equipped with a fridge/freezer, dishwasher, juicer, coffee machine, microwave, oven and an electric stove, American breakfast table with two high seats and a laundry room which has a washing machine and dryer. 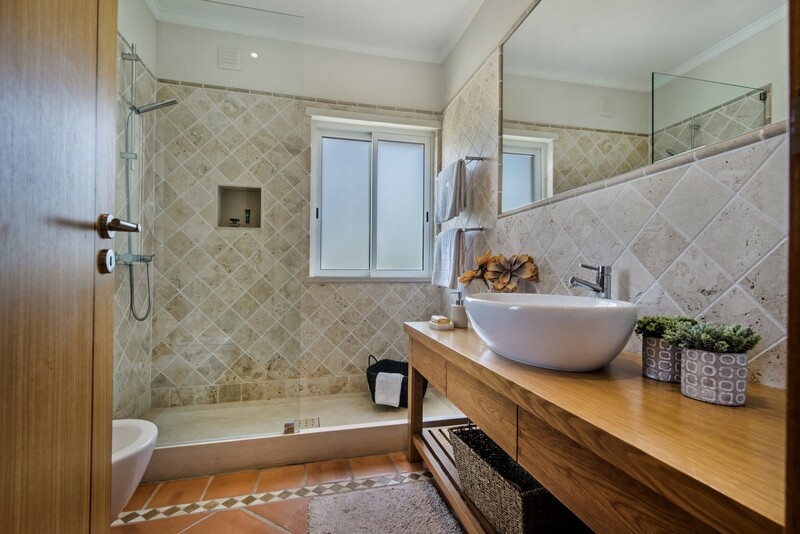 Bedroom 1: This smaller bedroom features a twin sofa pull-out bed that can be converted in a double bed, with an en suite shower room. 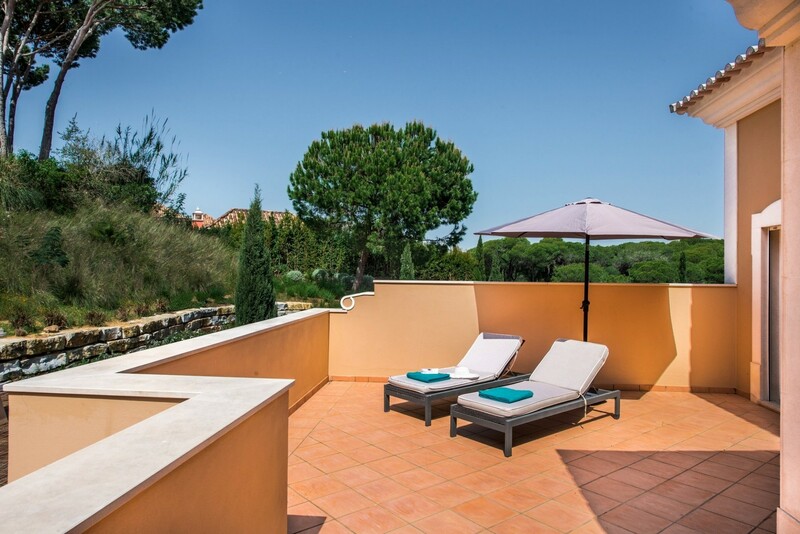 Bedroom 2 (Grey Room): This can be prepared as either a twin or double bedroom with direct access to a private terrace overlooking the pool and garden area. 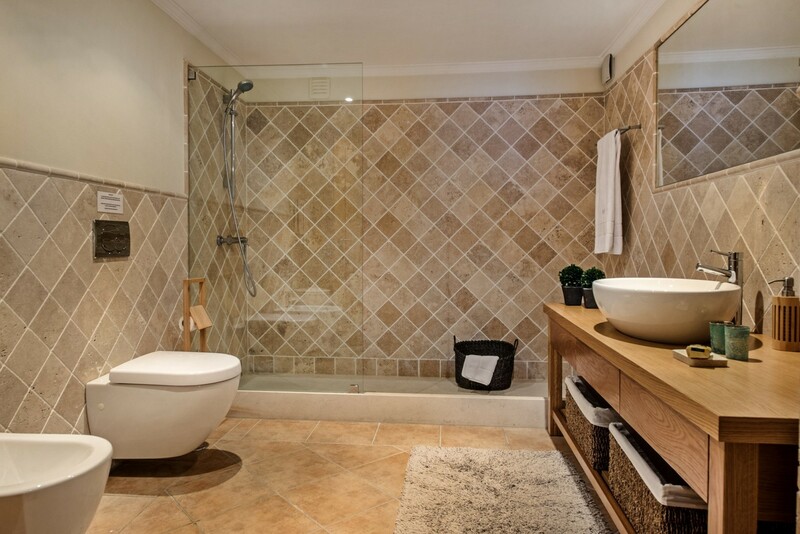 There room has an en suite bathroom with a walk-in shower. 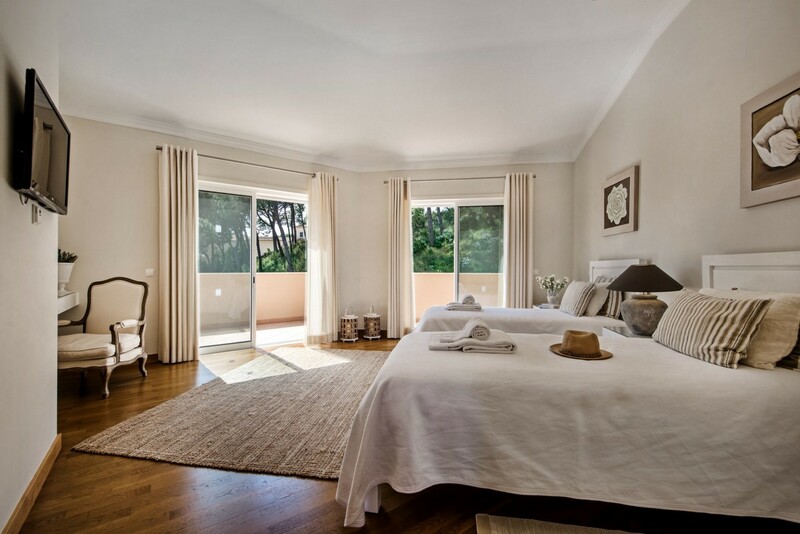 Bedroom 3 (Brown Room): This can be prepared as either a twin or double bedroom, overlooks the pool and garden area and has a TV and en suite bathroom with a walk-in shower. 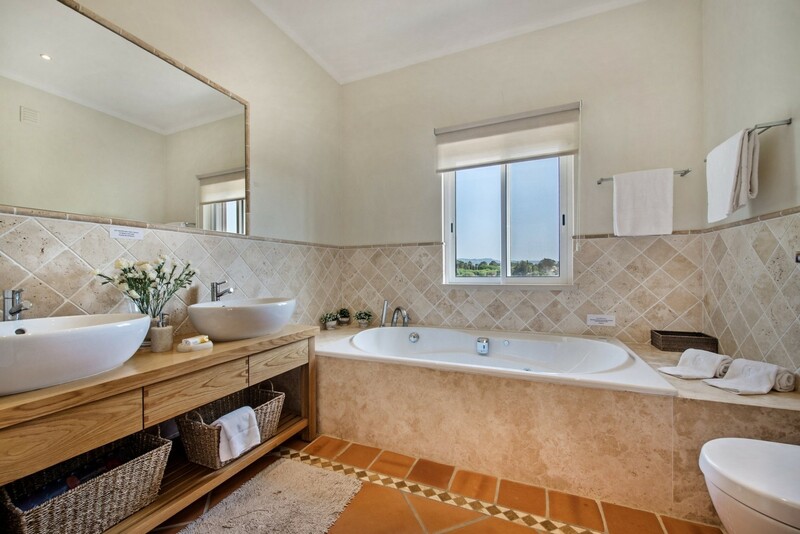 Bedroom 4 (Beige): This Master suite can be prepared as a twin or a double bedroom. 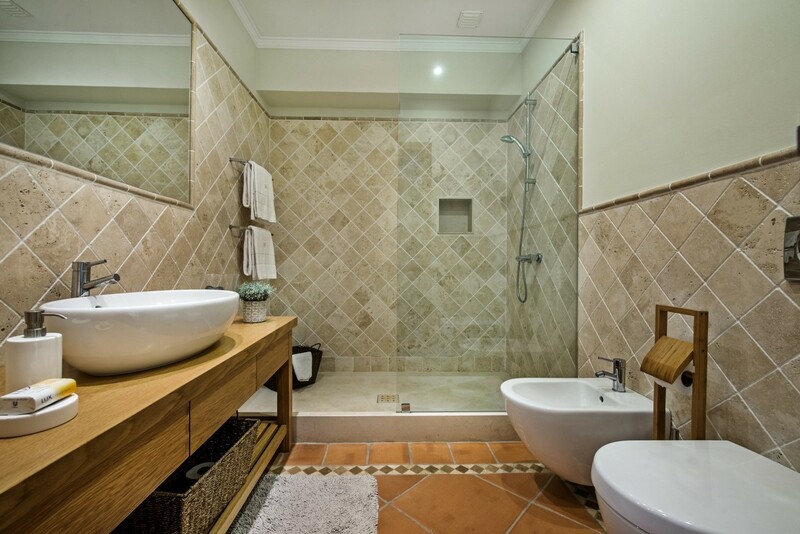 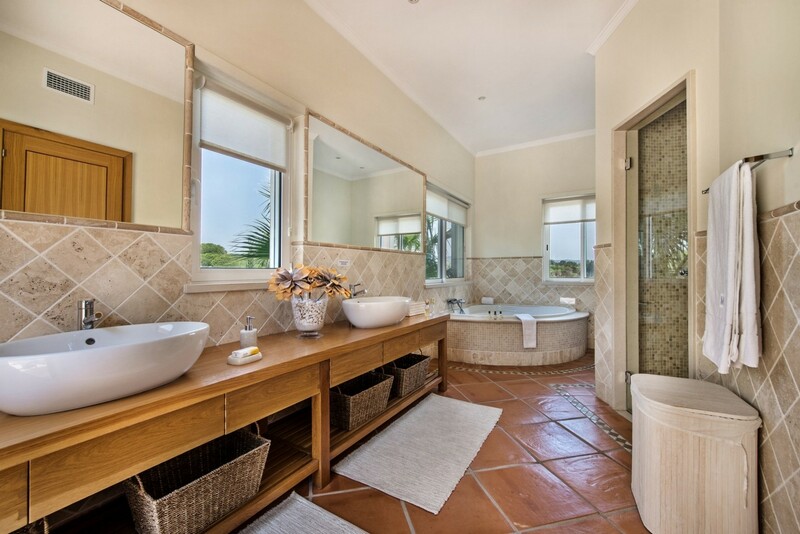 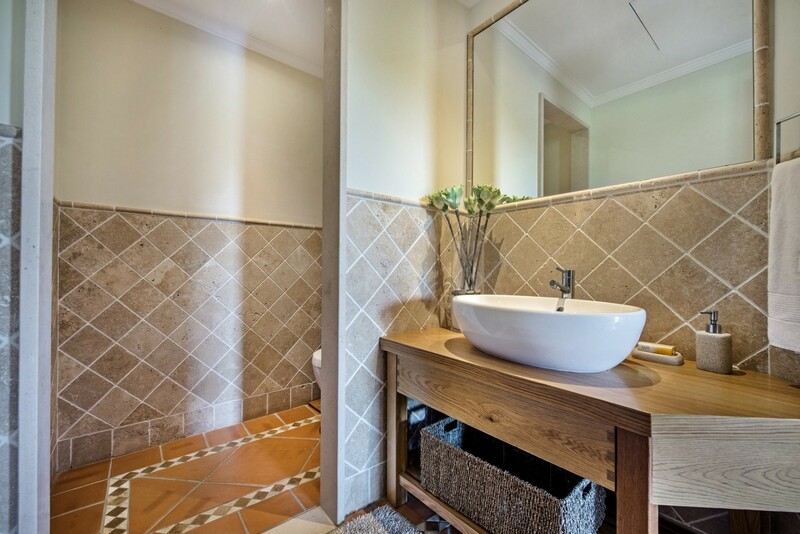 With a private dressing area, TV and an en suite bathroom with a Jacuzzi bath. 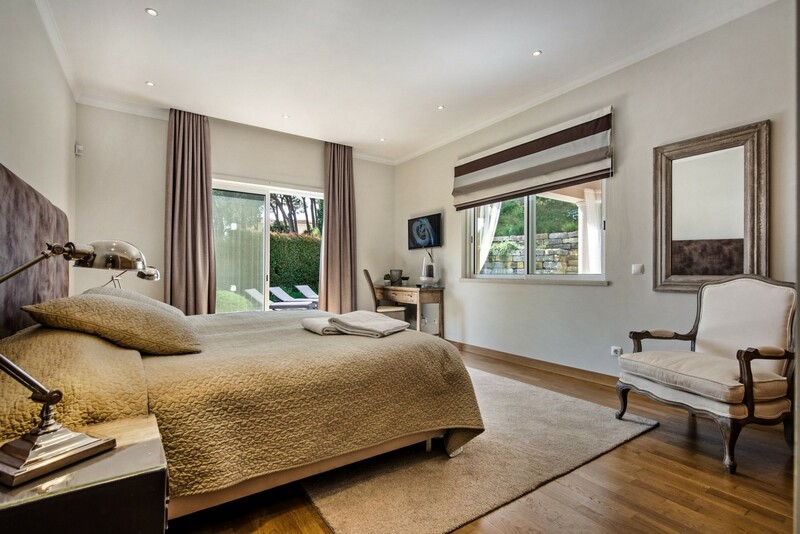 Bedroom 5 (Light Blue): This Master double suite with white linen curtains features a TV and a private dressing area, as well as an en suite bathroom with a corner Jacuzzi bath and a separate shower unit. 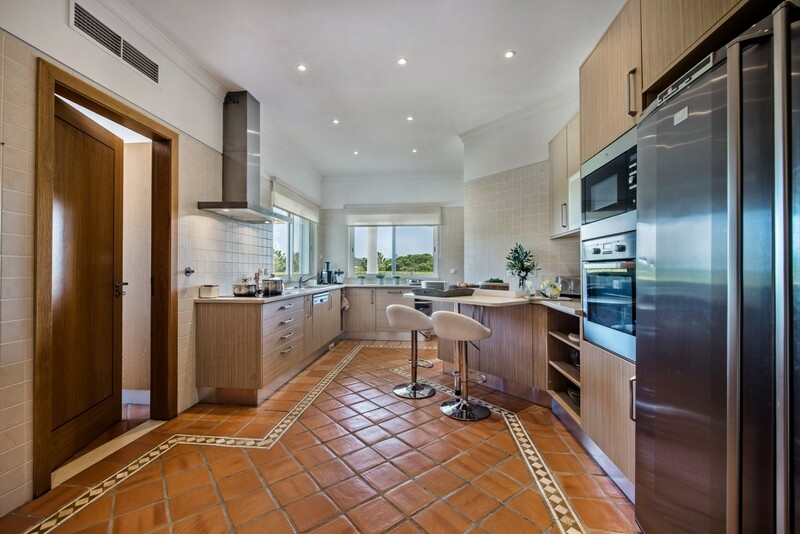 Both of these rooms enjoy views of the surrounding landscape. 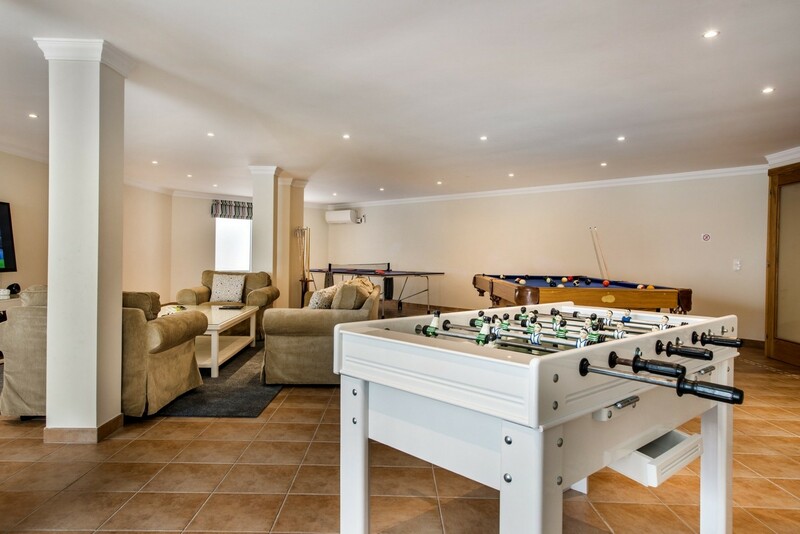 Multi-use bedroom: This big bedroom is ideal for teenagers who want to be next to the games room area and away from the main house area. 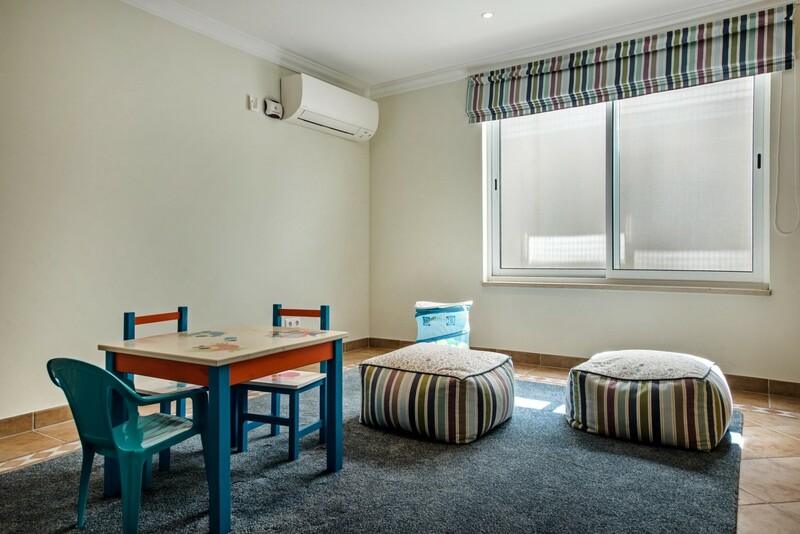 There are two twin sofa pull-out beds with a capacity for four people, four puffs and a private music system and a football table.